In preparation for the Magic Tour, the song was performed during two of the tour's three public warm-up rehearsal shows that took place in September 2007 in Asbury Park and East Rutherford. 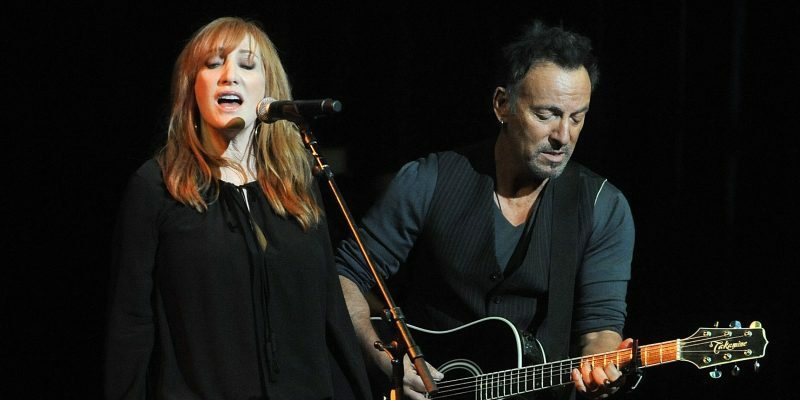 The song was performed as a duet between Patti Scialfa and Bruce Springsteen, in an acoustic arrangement. 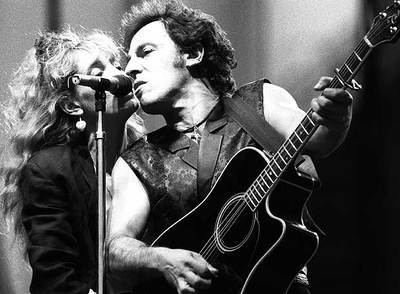 The song was performed 9 times during the Magic Tour as a duet between Patti Scialfa and Bruce. The first of these nine performances was played in an acoustic arrangement, while the remaining eight performances were played in a full-band arrangement. The full-band version is very similar to the officially released "Edit version" of the song. That was an old song I had lying around that I never found the right place for before. But then when I started this record, I knew this was going to be a good fit because these songs are a little tougher. Musically the song really came to life once we got a bottom, kind of like an old Creedence song and a top, sort of like "Chain Of Fools". Everyone played it so well. Steve Jordan is so great. I've known him since I was a teenager and he naturally, organically understands how I want things to sound. And that's such a great help in making things come together. The song itself is about the natural conflicts of real and longstanding relationship. It's the adult's complaints. It's a song that says, "Work with me, don't box me in." 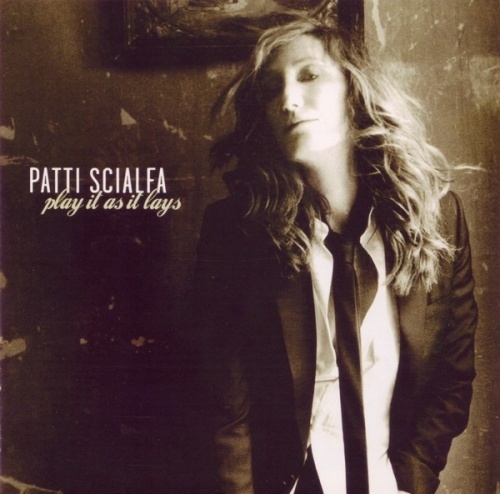 Patti Scialfa's album version of Town called heartbreak clocks at 5:29. An "Edit" version that clocks at 3:36 was released as an online download single. "Good evening. In the beginning, there was "Mad Dog" Vini Lopez, standing in front of me, fresh out of jail, his head shaved, in the Mermaid Room of the Upstage Club in Asbury Park. He told me he had a money-making outfit called Speed Limit 25, they were looking for a guitarist and was I interested? I was broke, so I was. So the genesis point of the E Street Band was actually a group that Vini Lopez asked me to join to make a few extra dollars on the weekend. Shortly thereafter, I met Dan Federici. He was draped in three quarter-length leather, had his red hair slicked back with his wife Flo -- she was decked out in the blonde, bouffant wig -- and they were straight out of Flemington, New Jersey. So Vini, Danny, myself, along with bass player Vinnie Roslin, were shortly woodshedding out of a cottage on the main street of a lobster-fishing town: Highlands, New Jersey. We first saw Garry Tallent along with Southside Johnny when they dragged two chairs onto an empty dance floor as I plugged my guitar into the Upstage wall of sound. I was the new kid in a new town and these were the guys who owned the place. They sat back and looked at me like, "Come on, come on, punk. Bring it. Let’s see what you got." And I reached back and I burnt their house down. Garry Tallent’s great bass-playing and Southern gentleman’s presence has anchored my band for 40 years. Thank you, Garry! Thank you, sir. Then one night, I wandered in the Upstage and I was dumbstruck by a baby-faced, 16-year-old David Sancious. Davey was very, very unusual. He was a young, black man who -- in 1968 Asbury Park, which was not a peaceful place -- crossed the tracks in search of musical adventure and he blessed us with his talent and his love. He was my roomie in the early, two-guys-to-one-six-dollar-motel-room years of the E Street Band. He was good, he kept his socks clean. It was lovely. And he was carrying around a snake around his neck at that time, so I lucked out with Davey as my roommate. And Davey’s the only member of the group who ever actually lived on E Street! So I walked in and he was on the club’s organ. And Davey’s reserved now, but at the time, he danced like Sly Stone and he played like Booker T, and he poured out blues and soul and jazz and gospel and rock and roll and he had things in his keyboard that we just never heard before. It was just so full of soul and so beautiful. Davey, we love you and we still miss you so, you know? But predating all of this was Steve Van Zandt. Steven: frontman, frontman. I walk into the Middletown Hullabaloo Club. He was the frontman for a band called the Shadows. He had on a tie that went from here down to his feet. All I remember is that he was singing the Turtles’ 'Happy Together.' During a break at the Hullabaloo Club in New Jersey, he played 55 minutes on and five minutes off, and if there was a fight, he had to rush onstage and start playing again. So I met Stevie there and he soon became my bass player first, then lead guitarist. My consigliere, my dependable devil’s advocate whenever I need one. The invaluable ears for everything that I create. I always get a hold of him, and fan No. 1. So he’s my comic foil onstage, my fellow producer/arranger, and my blood, blood, blood, blood, blood brother. Let’s keep rolling for as many lives as they’ll give us, alright? Years and bands went by: Child, Steel Mill, the Bruce Springsteen Band -- they were all some combo of the above-mentioned gang. Then I scored a solo recording contract with Columbia Records and I argued to get to choose my recording "sidemen," which was a misnomer, in this case, if there ever was one. So, I chose my band and my great friends, and we finally landed on E Street, the rare, rock & roll hybrid of solo artistry and a true rock & roll band. But one big thing was missing. It was a dark and stormy night, as a Nor’easter rattled the street lamps on Kingsley Blvd. and in walked Clarence Clemons. I’ve been enthralled by the sax sounds of King Curtis and I searched for years for a great rock and roll saxophonist. And that night Clarence walked in, walked towards the stage, and he rose, towering to my right on the Prince’s tiny stage, about the size of this podium, and then he unleashed the force of nature that was the sound and the soul of the Big Man. In that moment, I knew that my life had changed. Miss you, love you, Big Man. Wish that he was with us tonight. This would mean a great, great deal to Clarence. An honorable mention and shout-out to Ernie "Boom" Carter. The drummer who played on one song only: 'Born to Run.' He picked a good one. So here’s to you, Ernie. Thank you, thank you. Thanks, of course, Max Weinberg and Roy Bittan, who answered an ad in the Village Voice. And they beat out 60 other drummers and keyboardists for the job. It was the in-fatigable, almost dangerously dedicated Mighty Max Weinberg and the fabulous five fingers of Professor Roy Bittan. They refined and they defined the sounds of the E Street Band that remains our calling card around the world to this day. Thank you, Roy. Thank you, Max. They are my professional hitmen. I love them both. Then, 10 years later, Nils Lofgren and Patti Scialfa joined just in time to assist us in the rebirth of 'Born in the U.S.A.' Nils, one of the world’s great, great rock guitarists, with a choir boy’s voice, has given me everything he’s had for the past 30 years. Thank you, Nils. So much love.